As I was goin’ over the Cork & Kerry Mountains, I saw Captain Farrell and his money he was counting! I first produced my pistol and then produced my rapier. I said, Stand and deliver or the devil he may take ya! Something about Whiskey in the Jar! 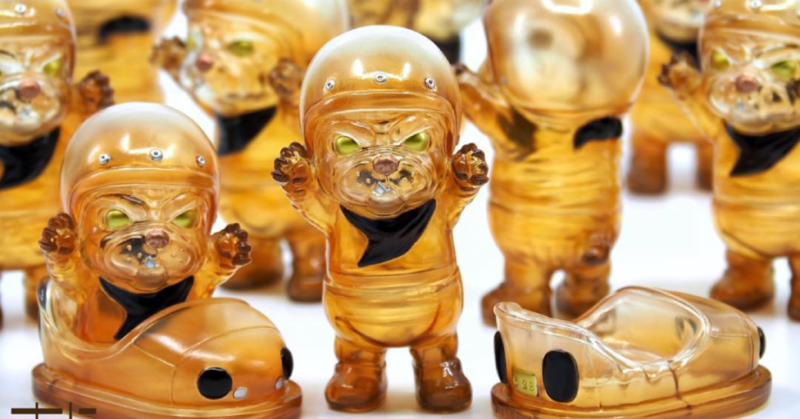 myplasticheart knocking up some whiskey sours in the form of the new MiTT from 628 (sixtwentyeight) for their exclusive at DesignerCon. MiTT WHISKEY, BAY BAY! These beauts will be available from the myplasticheart booth #107 from Friday night at the Anaheim Convention Center! No details swishing around on price or run size, but you’ll need to head to #107 to snag one. That’s all you need to know. Do you want MiTT WHISKEY? What about if you want something a little softer than Whiskey, well The Sour Lemon got you covered with the MiTT LEMON DROP dropping at booth #151 this weekend! Available from The Sour Lemon from Friday night. Again, no details on price or run size but when has that ever stopped you!